That’s a wrap, folks! 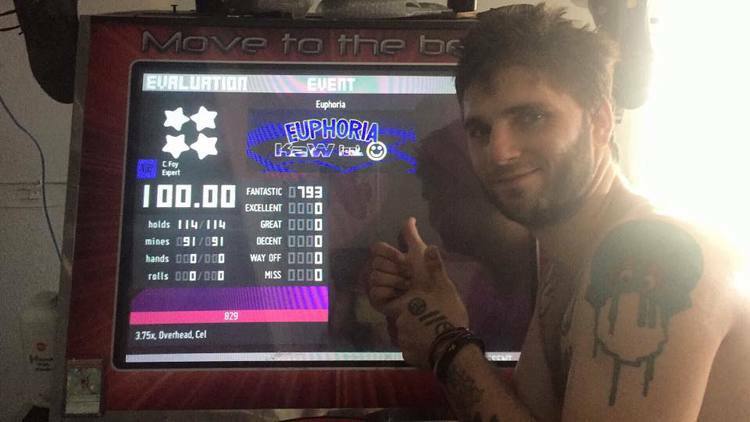 Seth Sanchez “Happy Feet” has just quad starred Euphoria Expert Singles, the last official In The Groove 2 chart to be quad starred after he got VerTex² yesterday. History has been made on this very day as it has taken 10 years and 10 months since the release of the game to get 100% on every In The Groove 2 song on Expert. Congratulations, Seth!